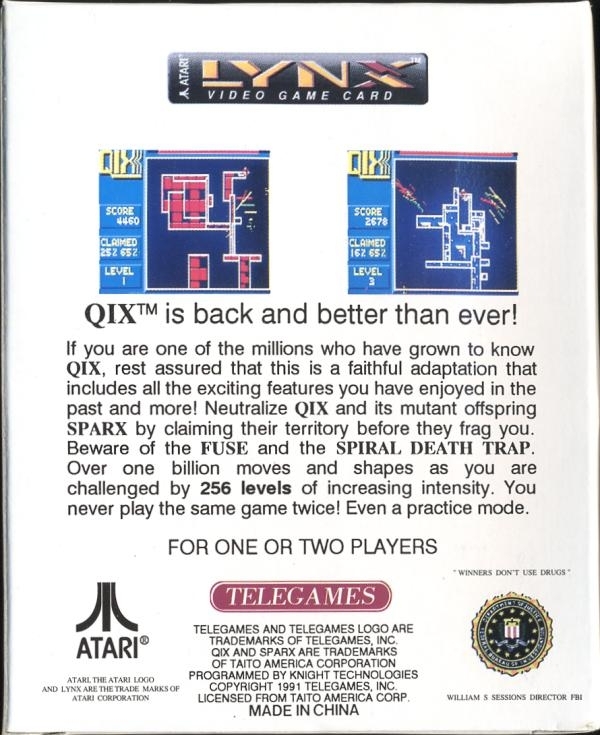 QIX creates a new dimension in arcade-type fun. Experience geometric challenge and creative strategy. Branch out and claim your territory before the QIX traps you. Watch out for those feisty Sparx® patrolling the border territory. Extend your Stix and outsmart this erratic, electronic lightning bolt.